Shalom From The Hebrew Roots Center In Galilee Israel! We’d Love to Visit You – The Start of a New USA Road Trip! A family who lived in the Galilee and fellowshipped with us for 3 months will be traveling across America from the end of July through November and they would love to visit you. They love to share about living in Israel and how our Hebrew Roots Center desires to be a beacon from Northern Israel! Nate, one member of this family has started recording original music with the production team here. Our desire is to equip other groups with worship music relevant to a Hebraic theme. It would be a blessing to share that music with you LIVE! We would love to visit you! It is time for us to connect with individuals and groups seeking to establish relationships in the land, and to also be encouraged with the work that is going on here. We have built a broadcast center, developed the brand new released “Hebrew Lessons Challenge” www.hebrew-lessons.com and a weekly ministry recorded and shared over the internet in Audio and video feeds soon to be LIVE! Our intention is partner with other ministries and individuals to do everything to support those whose eyes are opening to the truth. 80% of the people we reach have never heard the true gospel of the kingdom, YHVH’s plan for the Southern and Northern Kingdom and the difference between “Law and Grace”. Everyday we testify to amazing breakthroughs and changed lives. Our calling is to communicate this message with more and we need your help in prayer and financial support. Will you join with us in sowing into this work of YHVH and stand with us here in Israel! We are a Hebrew Roots Center in the Galilee where local believers welcome those visiting Israel to join us in fellowship. Visitors from around the world share that they are encouraged to find a place in Israel to come and fellowship with like-minded believers. 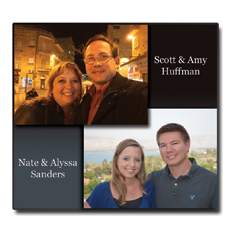 When you come to Israel, whether on your own or with a group, we invite you to visit with us! We meet on every Shabbat in the evening @6:30pm. We can also minister on any day group are coming through. Please E-mail us for directions or if you have any questions. We hope that you can come join us soon! We invite you to watch the link below. It is a testimony from Kenny Russell and will show you our passion for the Father and for His kingdom. Have We Lost the Love? – http://youtu.be/BoJWUfqIBWM Every year we are reaching hundreds of thousands of people, many of which are opening the door for the first time to the message of returning to TORAH. We desire to be a light, shining from the Galilee to welcome all of Israel as they return home to visit or permanently! We look forward in hearing from you.